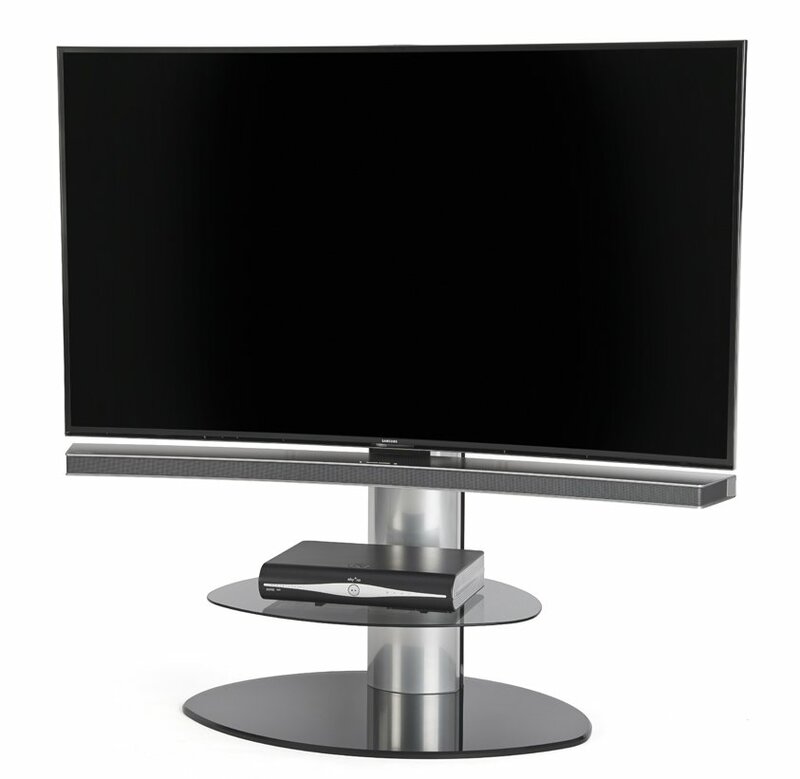 The Motion range is a stunning synergy of clever engineering and designed simplicity. 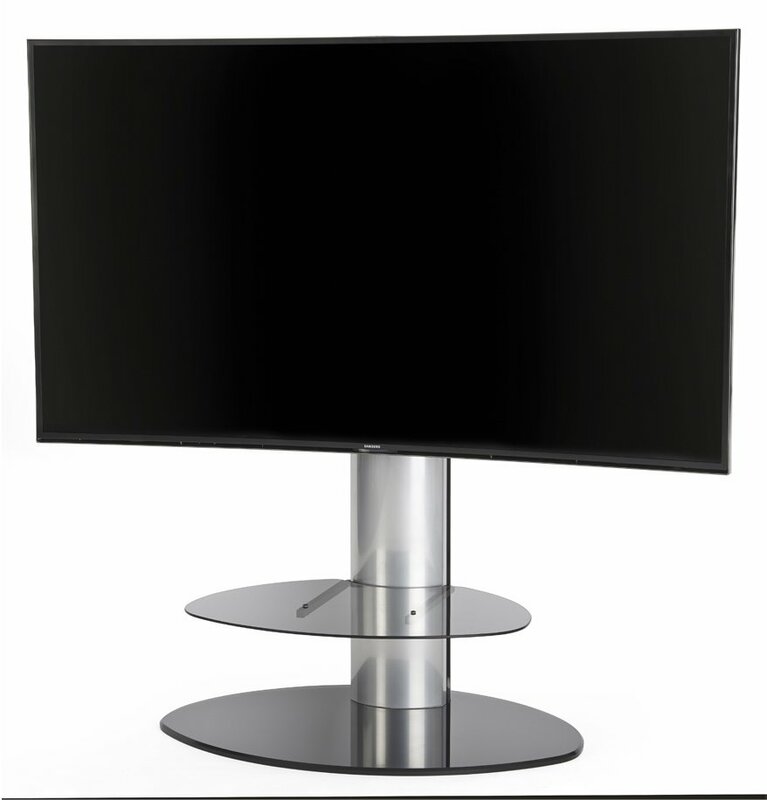 Packed full of adjustment features it has a smooth swivel action that lets you angle your screen to the perfect viewing position. 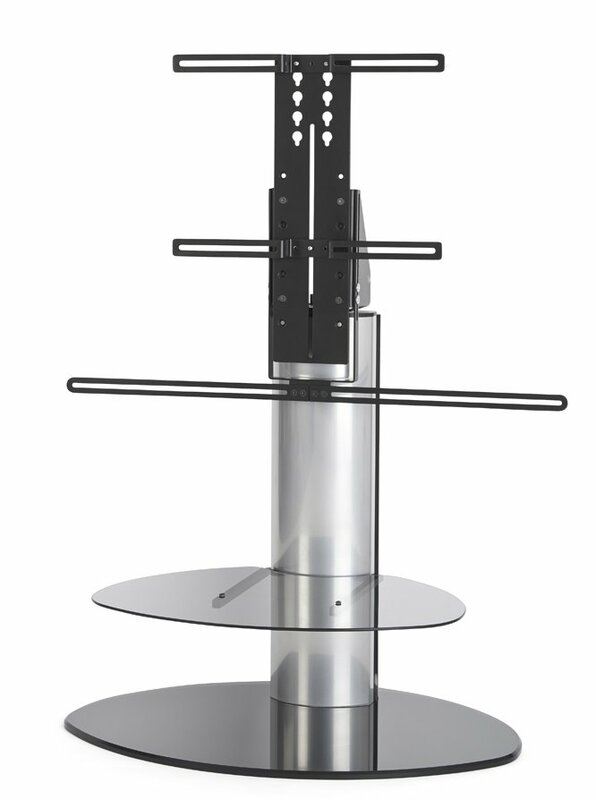 With further screen and shelf height settings you can place all your AV equipment exactly how you want them. 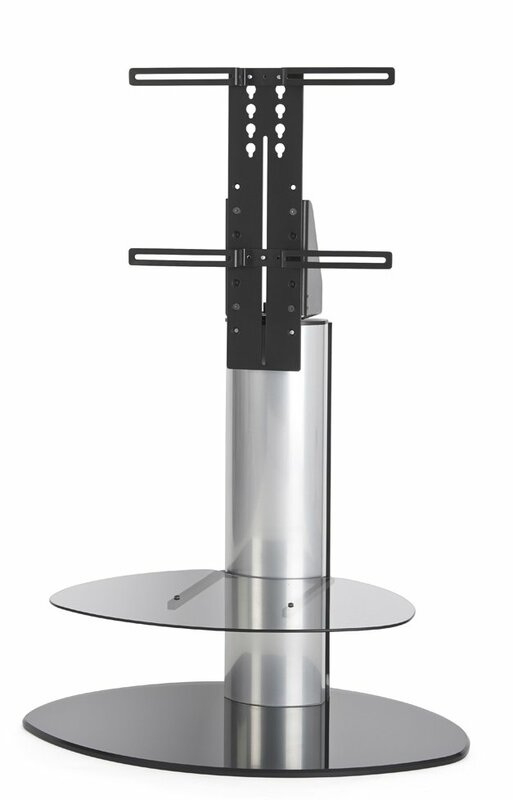 You can also enhance your sound by adding a sound bar with the optional sound bar bracket. This fits easily and swivels with the screen to keep your picture and sound quality together. 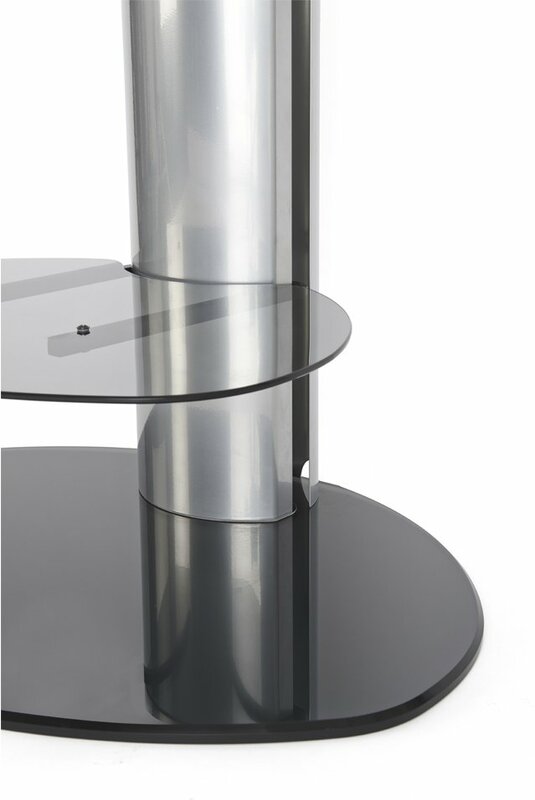 The Soundbar Bracket is an optional extra and is NOT included as standard. Please check the Accessories tab to the right for the Soundbar Bracket. 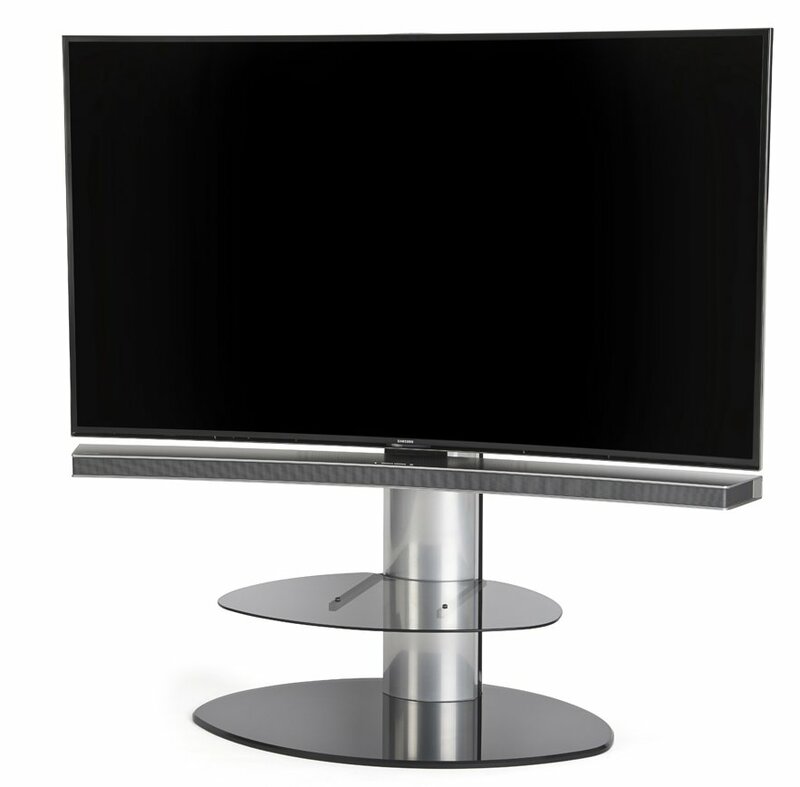 In Black & Silver it complements the Panasonic TV. Its the perfect size for our 47" screen. Unfortunately it doesn't hide cable from the audio system on bottom shelf. It has to be fed from the outside of the unit. Cable can be seen and therefore defeats the object of this product. Very stylish piece of kit. Fits nicely in corner of room. 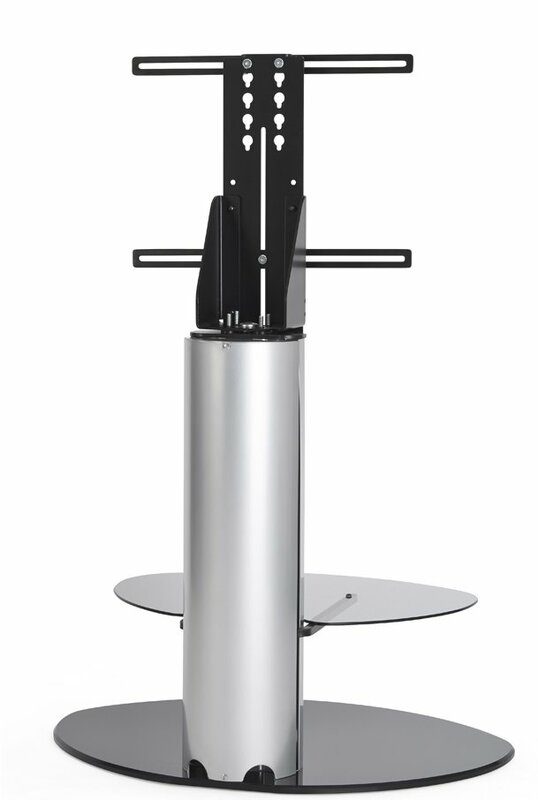 AVF FSL930CHEGW Chepstow Gloss White Cantilever TV Stand for up to 65"
HI,COULD ANYONE TELL ME IF YOU GET THE 4 SECURING BOLTS TO CONNECT 40 INCH SAMSUNG LED TV TO THE STAND BRACKETS. Hi you need to select the correct size bolts from the selection provided with the stand. But if none are right then go to B&Q. Before hand you need to know the correct bolt size (Mxx) - maybe get this from Samsung. Good luck. Yes it comes with all the fixings to put tv onto the stand.